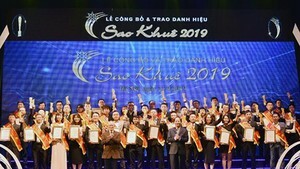 Within the framework of the 2018 Ho Chi Minh City Innovation, Startup and Entrepreneurship Week 2018 (WHISE 2018), a series of activities are being held specially for the young living in Ho Chi Minh City (HCMC), all of which have so far left distinct impression on them. 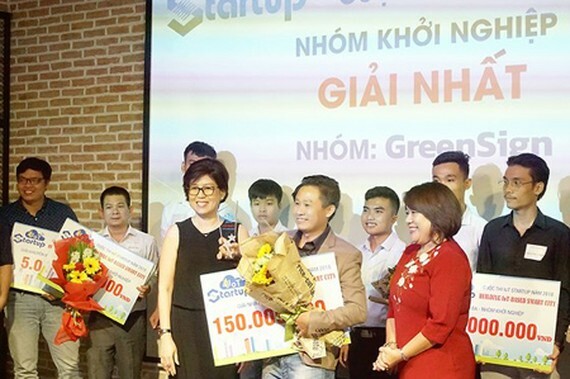 IoT Startup 2018 with the theme ‘Building IoT-based Smart City’ is an annual contest organized by the Saigon Hi-tech Park Incubation Center (SHTP-IC) to seek excellent startup ideas in order to timely support them to build corresponding projects, contributing to the construction of a sustainable IoT startup ecosystem. Launched in May 2018, the competition has attracted more than 60 projects divided into 2 groups. In Group A for students, 7 most prominent projects related to smart housing, urban and agricultural management were identified. Among them, the project TNT – smart water meter – was awarded the title ‘the Most Excellent Startup Project of Students’. In Group B for startup teams, out of the 7 contestants in the final round, the project ‘GreenSign Signee’ – smart signboard – impressively defeated its competitors to win the first prize, along with gaining two sub awards. Many projects from the IoT Startup have received positive and promising results, being able not only to boost the spirit of innovative startup among the young but also to gain real value. Some remarkable successes are the system of smart street lights S3, smart lock technology, Airbnb, the social network for farmers Fman, or the group Tep Bac with the IoT solution for shrimp ponds. Another related activity in WHISE 2018 is the summary of the community activity for students with the theme ‘Creative and innovative startup in the digital era’, held by the HCMC Computer Association, where 10 young outstanding people shared their story of startup success. According to Ms. Van Thi Bich Ty, Head of the Event & Communication Department of the HCMC Computer Association, the program aims at connecting startup students with businesses and their predecessors so that they can obtain more essential knowledge as well as experience on startup activities. The program is organized from September to October 2018 in many colleges and universities sited in HCMC, attracting nearly 6,000 students, 50 IT businesses. In the last 10 years, the program has been able to link over 50,000 students to related businesses. As reported by Mr. Vu Anh Tuan, Secretary General of the HCMC Computer Association, at the moment, the city possess around 30 incubator centers and 10 organizations to boost trading. Also, the number and activities of ‘angel investors’ begin to see a growth, which is a very positive signal to boost the development of startup ecosystems in the nation. All the above events have shown that the movement of creative and innovative startup in HCMC is more practical to form more higher values.